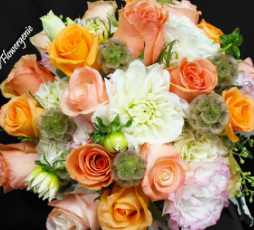 We believe in providing you with the best quality flowers at the very best price. Feel free to browse our pictures! If you need help with your order, we are always a phone call or e-mail away. Enjoy! Don't forget to check out our FLOWER GALLERY! Feel free to utilize the contact form for a free quote, or give us a call/email if you prefer. Also, don't forget to like us on facebook/write a review on yelp/and sign up for our email list! Promos! Free stuff! Happiness all around. Current Special---$75.00 for Half Dozen HK and a bear!!! If you're going to go see her on Valentine's Day, why not bring something beautiful to surprise her with? 2015 Valentine's Day! Submit your pre-orders online, or call in to us at ﻿626.287.5289﻿! Check out our blog for specials! Shoot us an email for pricing and details at info@flowergenie.net. Hope to hear from you soon!! !